Hello and welcome to the Chellaston Community Association (CCA) website. 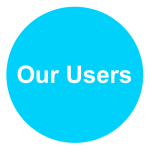 We are a registered Charitable Incorporated Organisation (CIO) with the elected trustees overseeing the Management of Chellaston Community Centre. Our premises are an ideal venue for a wide variety of uses and currently around 20 regular groups use the Centre during weekdays for a range of activities. 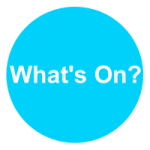 Take a look at our What’s On page to view forthcoming events taking place and contact information. If you are interested in hiring a room or the Centre for an individual event at the weekend, such as a birthday party for your child, our premises provide an ideal facility especially if you wish to make it a themed event. Contact details are on our website along with a diary, photos of the facility and pricing structure. Check our What’s On to see if the date you require is available. 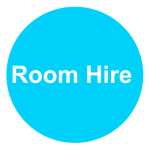 Visit the hiring a room page where you can see the building layout, pictures of individual rooms and our pricing structure. Scroll down to the bottom and click on “book now” to provide outline details of your requirements and submit to our booking secretary, alternatively you can call 07895386433 to speak to us. Once you have been provided with a booking reference number you can complete our Online Hire agreement along with reviewing the associated rules for hire of the Centre. Returning the necessary paperwork along with your deposit will secure your booking. The Association produces a monthly newsletter which is published in the Chellaston Choice Magazine and displayed on the Community Centre notice boards. If you would like a regular electronic copy of our news please provide your e mail details in the box below. 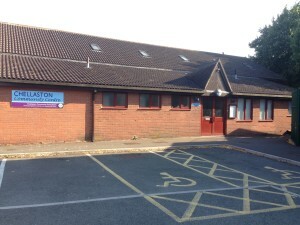 Looking to hire the Chellaston Community Centre for a one off event or on a regular basis?